1.Tea tree oil is used in personal care products (hair care, body care, foot liquid, soap, antibacterial hand sanitizer, breath freshening agents and oral care products net) health supplies (first aid lotion, fungicides, burn care, anti-fungal, mold), may play anti-inflammatory antibacterial, only quiet, itching, tea tree oil has entered the US Food, Drug Administration "FDA" procurement list. 2.Tea tree oil has been used and there is the potential use value of products: agricultural fungicides, sanitizers, antiseptic, air fresheners, air conditioning fungicides, anti-acne (acne) cleansing cream, cream, water, bath cleaners, car cleaners, carpet deodorizer, fresheners, dishwashing detergent, use face and body with, making full use of cleaning agents, fresheners, moisturizers, deodorants, shampoos, pet health supplies. extract flavor oil.The principle is to use steam distillation to separate material from water and extract oil from material.Moreover, the automatic system control the machine, so it not only helps to save labor ,but also and save cost and improve efficiency.In the process of heating ,because of heat conduction oil , The machine can reach 100°C rapidly under the condition of keeping clean and safety. 4.The plant save energy , because it distillates oil in Vacuum and low temperature ,so makes volatile material easier to be recycled. 1.Food industry: As regards the use of tea tree oil as a food flavoring already approved US, FEMA number is 3902. 2.It is in baked goods, soft drinks, including alcohol beverages, breakfast cereals, cheese, chewing gum, candy, egg products, fish products, oils, frozen dairy products, fruit products, instant coffee, tea, meat, dairy products, nut products, food products, such as the average depth of 10ppm, the average maximum concentration 30-50ppm. 3.Beauty industry: To completely remove excess oil secretion, regulate water balance, help get rid of acne, prevent acne and accelerate healing. Provide skin moisture while strengthening the delicate repair capacity, and promote skin smooth, so that more healthy pores and meticulous. 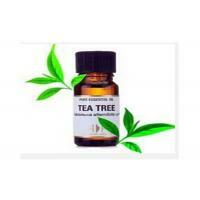 3.Tea tree oil is a natural disinfectant, for the treatment of many diseases, trauma of great help. Such as cuts, abrasions, insect bites, acne, burns, vaginal infections, ringworm, etc. 4.It is also used to control the air conditioning system of bacteria and mold. Australian tea tree oil is widely used in cosmetics, toiletries and veterinary supplies. 5.The concentration of tea tree oil about basic 15% for direct consumer use as a disinfectant. Generally 100% tea tree oil, is the proportion of test subject appeared allergic skin irritation at 3.4% or less, for a concentration of less than 25% of tea tree oil to almost no allergies. 6.Allergenic ingredients mainly cymene and 1,4-peroxide Bangladesh ene (ascaridole). Tea tree oil is stored too long and improper storage can cause oxidation of the oil, lower quality produce allergenic cymene and 1,4-ene peroxide Bangladesh. 7.Head Australian authorities are actively doing work, we hope that the relevant authorities FDA and other European countries to accept the tea tree oil as a safe disinfectant.